You know how after a fangirl sees something awesome in her fandom she'll often squeal, wave her arms frantically, and rattle off various incoherent syllables from thoughts that are moving more quickly than her brain can process into speech? This post is basically my attempt to capture those thoughts, slow them down and turn them into text. They may not have a coherent structure, but they just have to be shared! Located after the cut is a multitude of Doctor Who spoilers, so if you haven't watched "The Day of the Doctor" yet, first of all, how dare you? Second of all, skip this article. You will regret reading it. Go watch Doctor Who's 50th anniversary special and then come back to this. Also, feel free to tell me all of your feels and theories regarding this special and Doctor Who in general in the comments! I need to feed my brain with more Doctor Who! Peter Capaldi (kind of) showing up in "The Day of the Doctor" means a few different things. The most prominent thing being that it took all twelve of The Doctor's regenerations to make the calculations necessary to disappear Gallifrey. But there's something else. You see, when we reach the end of the episode, Eleven goes on with the knowledge of what happened while Ten and The War Doctor, due to the fact that their time streams have been compromised, completely forget. 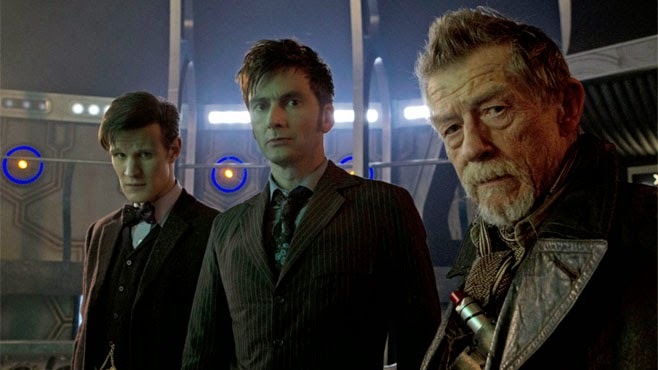 All the better for The War Doctor, since he promptly regenerates into Nine, believing himself to have died while destroying Gallifrey, which would later take part in feeding the angst that fuels the end of Ten's days. If I may make the assumption that Ten was in the era of the post-series-four specials when he was sucked away from Queen Elizabeth I, then he departed "The Day of the Doctor's" time frame to face his end without the knowledge that Gallifrey was actually still out there. But Eleven! Ah, Eleven will remember. We can presume that Eleven sent the message to all the past Doctors to show up at this point in time and space to help themselves out, and then they went back to where they were, forgetting what had happened. Except Twelve. Twelve didn't need the message. He carried that knowledge with him from Eleven. The rest forgot because they were from Eleven's past, Twelve remembered and came of his own volition. For him, the time stream had not been altered. We can probably assume that Eleven saw that, even after starting the calculations at One, they weren't finished in his time, so he made a mental note to come back when they were completed. And they happened to be ready after he regenerated. This isn't a jumbled time stream, it's relatively linear, at least for the Doctor it is, so Eleven is able to retain it. What's important is that Twelve didn't make enough of an impact on Eleven's time stream to affect his memory. Just enough of a jump to deliver a solution to the problem at hand, and then he's out. "The Day of the Doctor" also shows us that life for The Doctor will go on beyond Twelve, which, according to the rules of the Time Lords, should be his final regeneration. The appearance of Tom Baker allows us to presume that at some point in The Doctor's future, he will have the power to control his regenerations and choose which face he will wear next. We can presume that he will choose to go back to his Fourth face and wear it for at least another 30-40 years. That means Twelve, Capaldi's Doctor, is going to have to be the one to find that power. A power that we learned from "The Night of the Doctor" has been given to the Sisterhood of Karn. Either Twelve seeks out this power, or he dies for real this time. And we know he doesn't die, because there's The Curator (or, who I like to call "Future Four"). Now, here's where I start to make predictions on which I could totally be called out within a month's time. You see, there's this guy called The Valeyard... 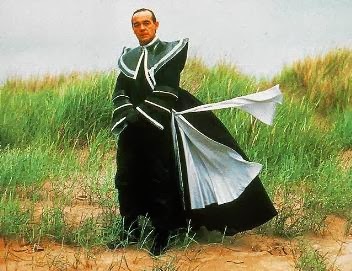 I don't know a whole lot about him, because I haven't watched the serials in which he appeared, but I do know one thing: he is described by The Master as an an amalgamation of The Doctor's darker qualities from between his twelfth and final incarnations. When we take into account The War Doctor, Eleven is actually the twelfth incarnation. If we also assume that Twelve is not The Valeyard (they look nothing alike), and that by "final incarnation" The Master actually means "thirteenth incarnation," then we can reason that The Valeyard is somehow going to fork off of Eleven's regeneration. This could possibly be because of a misuse of the Sisterhood's power. Now, I could totally be way off base here and "final incarnation" could mean the actual final incarnation, giving The Doctor untold amounts of time to become The Valeyard, but it certainly would be an interesting story to tell. Oh, and there's one more thing. At the end of "The Day of the Doctor," Ten says that they've got to find a different location for his final death. Now, clearly, this is just a way to make him say "I don't want to go" again, but then we get a teaser for the Christmas special and Eleven is at Trenzalore! Is he actually going to try and change what he knows his future time stream to be? I mean, we know that the story of his final death can't possibly be on the table because there's Twelve and there's Future Four, but he can't die on Trenzalore if he blows up Trenzalore. Or... does some other thing to prevent it. I don't know how to feel about changing his burial location, but I'm excited to see where the Christmas special is going with that.